Workplace, Facebook’s social network for business, is gaining more large customers such Starbucks and Viacom. 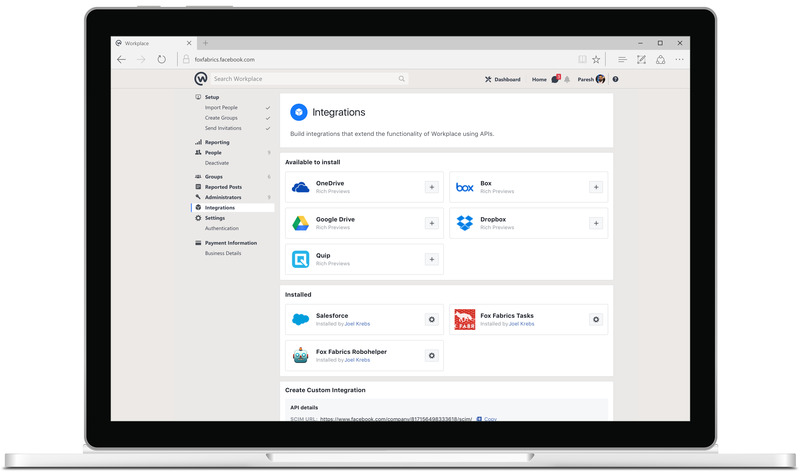 The service, launched six months ago, is also expanding third-party integrations for key enterprise features. Facebook today announced that more than 14,000 organizations are using Workplace, the company’s social network for business. 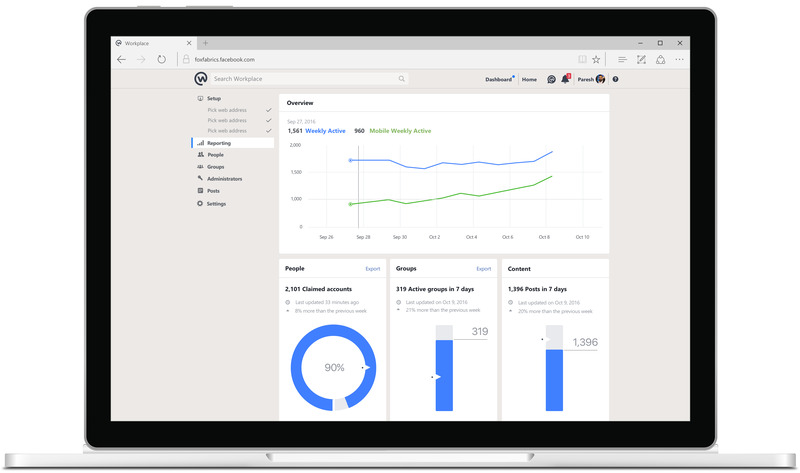 Workplace launched six months ago with an initial group of 1,000 companies that tested the platform during a 20-month pilot period. The company also announced a series of new integrations with third-party vendors, a new API for video production and streaming, and the introduction of bots to Groups and the Work Chat app. The vast majority of Workplace customers today are paying for Workplace Premium, says Workplace Vice President Julien Codorniou. 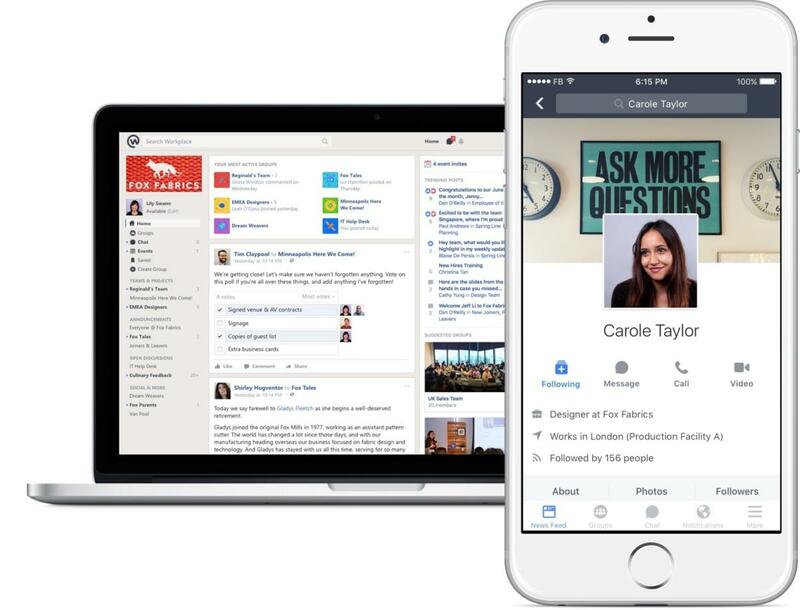 Earlier this month, Facebook released a new version called Workplace Standard, which is being offered for free without administrative controls and key enterprise features. Rather than focusing on a total number of users, Facebook is showcasing the number of organizations that join Workplace because the platform is “not for team use. It’s not for two people in the company, it’s for everyone,” Codorniou says. “We’re pleased with the growth we’ve had so far... It’s companies of all sizes, but more importantly all geographies.” Workplace is currently being used in 77 languages and is active on every content, according to Facebook. Facebook is trying to make it easier for Workplace users to collaborate and complete their work within the platform by expanding third-party integrations for file sharing with vendors such as Microsoft, Google, Salesforce, Quip, Box and Dropbox. The company is also expanding eDiscovery and security compliance capabilities with CS Disco, Netskope, Smarsh and Skyhigh. “These integrations are simply essential,” Jackson says. “They're reflections of the way people are choosing to work and of how functions such as bots will (or should) evolve in lockstep.” He gives Facebook credit to confronting compliance issues early because most CIOs and IT professionals consider the preservation of data integrity and security paramount to their operations. 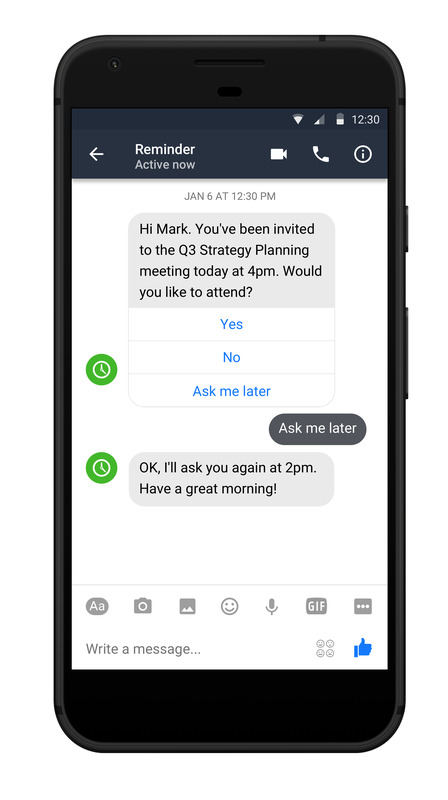 Finally, about a year after Facebook introduced bots to its Messenger platform, Workplace is getting similar treatment. Companies that use Workplace can now create custom bots for needs specific to their organizations. Bots, which will be available in the Work Chat app and Groups, can help automate simple tasks, including expenses, meeting scheduling and reminders. All of the new features announced today -- bots and integrations for file-sharing, eDiscovery and compliance -- are only available to Workplace Premium customers.